Scientific studies suggest that glucosamine supplements can treat osteoarthritis, especially in the knee and hip. Glucosamine is produced by the body and helps build cartilage, the connective tissues found in joints. Glucosamine makes glycosaminoglycans and glycoproteins, the building blocks for ligaments, cartilage, tendons, and synovial fluid in the joints. o It is largely found in the exoskeleton of shellfish and fermented grain. People with conditions related to cartilage damage (ex. osteoarthritis) require glucosamine supplements because the body is not producing enough. Though there are no noted side effects, some may be mild and less frequent like constipation, diarrhea, skin rashes, fatigue, headaches, stomach aches, and indigestion. More effective when combined with chondroitin or manganese. o Manganese intake should be restricted to 11mg per day, some supplements may have more than the prescribed amount, and hence, it is advised to read the label before use. Scientific studies suggest that glucosamine supplements can treat osteoarthritis, especially in the knee and hip. It can relieve pain, lessen inflammation, reduce stiffness, and enhance functionality. 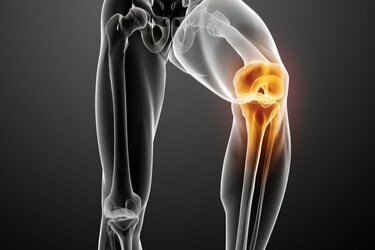 In 2006, the National Institutes of Health sponsored Glucosamine/Chondroitin Arthritis Intervention Trial (GAIT) on 1,600 osteoarthritis (OA) sufferers in the knee. The group that took glucosamine or chondroitin did not experience pain relief, although it was lessened compared to the placebo group. Another study in 2008 concluded that those taking glucosamine, chondroitin, and placebo saw less cartilage loss than those who took just one of the above supplements. Inflammatory bowel disease (IBD) results in frequent diarrhea with traces of blood. The clinical evidence illustrates that N-acetyl glucosamine oral supplements can improve the symptoms, especially in children. The research was conducted by a small group, and extensive research is still needed in this area. Glucosamine supplements can help heal skin disorders like psoriasis and also heals wounds. It also acts as a preventive medication for migraines. Those allergic to shellfish should consult their doctor before taking glucosamine supplements. There are shellfish-free supplements also available. Diabetics should be cautious while consuming glucosamine supplements, as it can increase blood sugar levels.